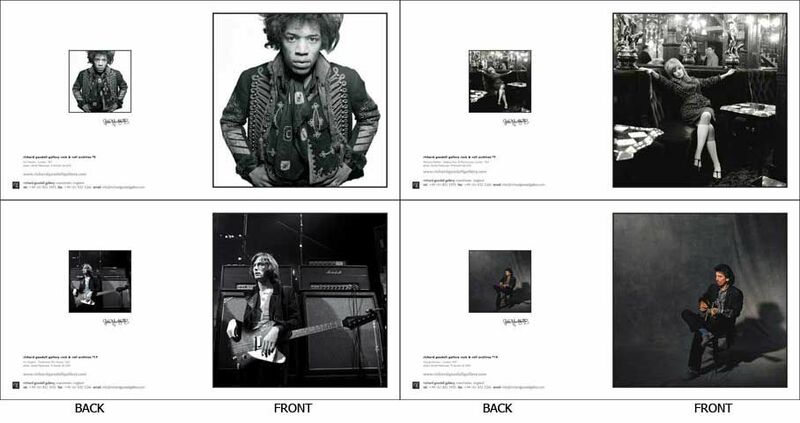 Set of 4 Classic Rock Greeting Cards - Classic Pose Jimi Hendrix, Marianne Faithfull, Eric Clapton, George Harrison by Gered Mankowitz. Limited edition of only 500 of each card produced. You get 1 of each of the 4 differnt cards. Choose shipping quote if ordering just cards as they ship very cheaply and we will let you know after they are ordered.